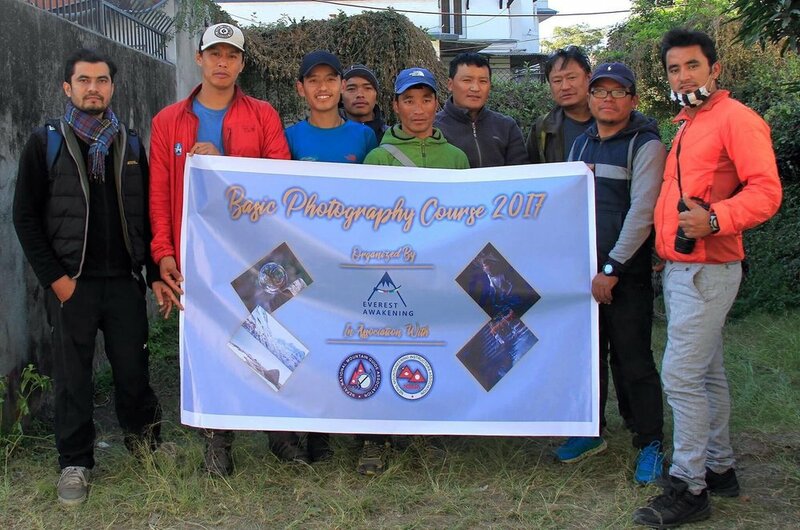 Everest Awakening has been working on many projects in Nepal, and our latest has been a Mountaineering Photography course in Association with Nepal National Mountaineering Guide Association and Nepal Mountaineering Instructors Association. This course gives sherpas and climbers skills to take beautiful photos, documenting all that they see while exploring the great majestic mountains of our world. This project will develop high altitude photographers, and the sherpas can use these new skills in photography as a new source of income and to explore new projects. They are the ones who see the changes to these mountains overtime due to climate change, and they are the witnesses to the fleeting. We are very proud of our students and excited to see their work.